This game is a "pet planet" simulator. You begin with a simple rock in space. 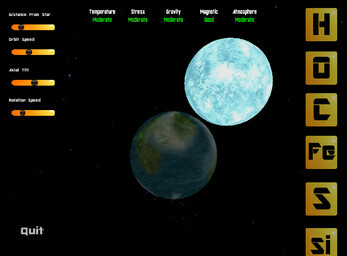 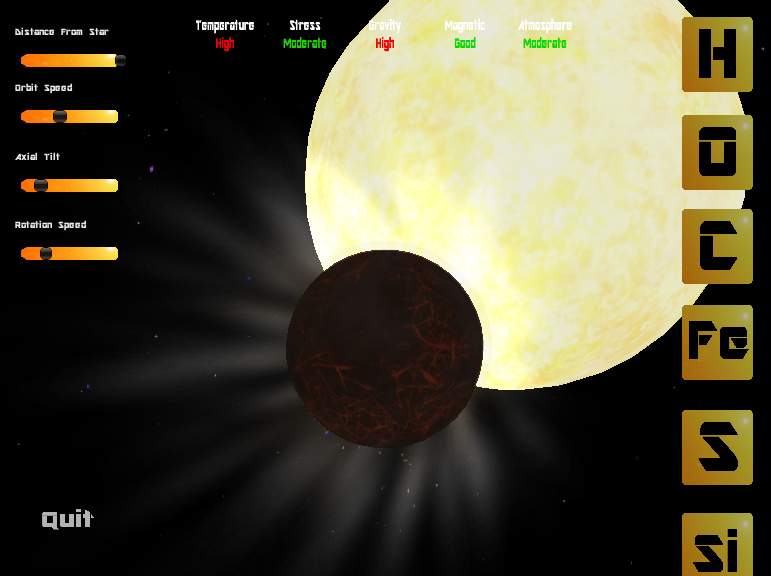 Add elements to your planet and alter its relationship to the sun to grow and shape your planet. 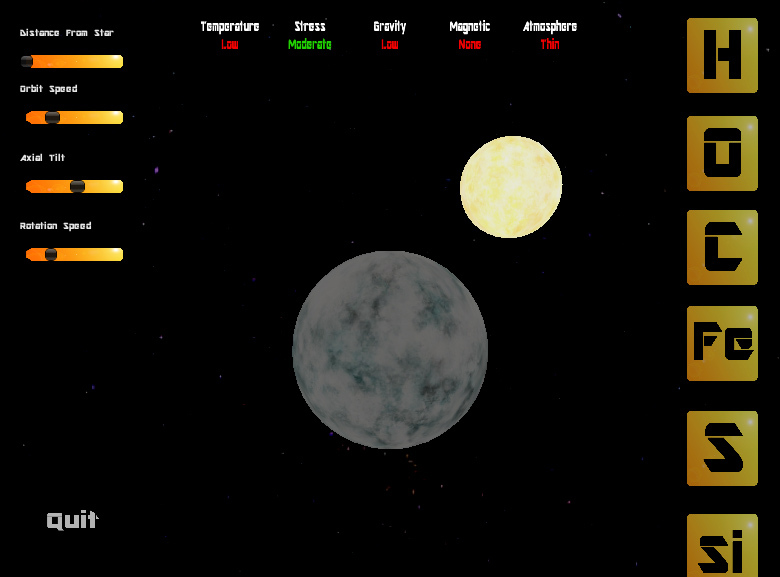 How long can you sustain life? After unzipping the file, be sure to keep the "Pet Rock" exe file in the same folder as the "Pet Rock_Data" folder or the game won't run properly.